Well, I am officially in the 700 Club. But no, not the religious TV show. 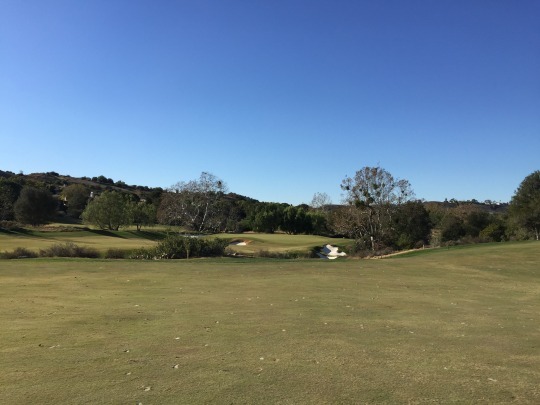 Yesterday marked my 700th course played. As usual with some of the milestone numbers I’ve reached, I wanted it to be a special course. 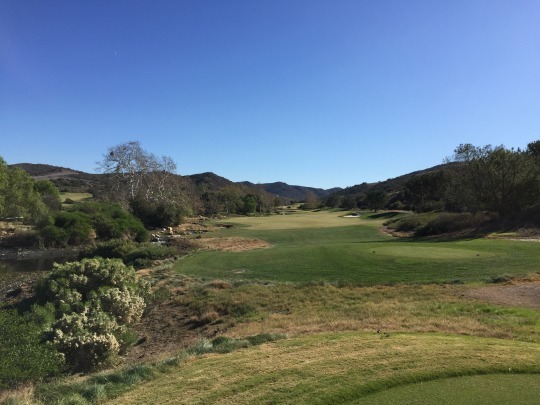 With this year giving me access to so many private clubs throughout Southern California, it’s only fitting that it was a very local course that is generally a very hard one to get on without knowing a member. 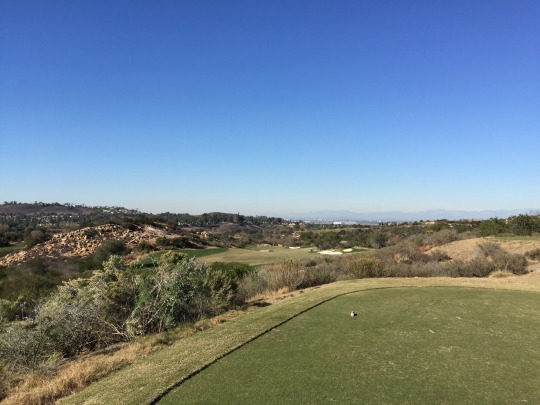 Shady Canyon Golf Club is just a few miles down the road from where I live in Irvine, so it was a ideal one to play for this personal milestone. 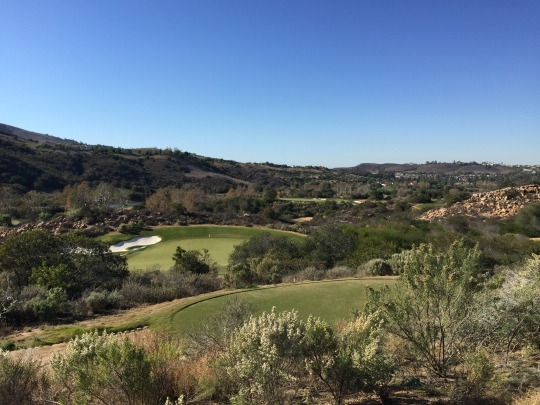 Some course collector buddies and I went in on a charity golf tournament auction a while ago and we ponied up for the “OC Tour” package that included rounds at three of Orange County’s premier private clubs, Shady Canyon, Big Canyon and Newport Beach CC. This was the first one we cashed in. We were sponsored by a member of the club, who also joined us for the round. I can’t thank him enough for being such a fantastic host. He really made sure we were taken care of from the moment we arrived at the clubhouse. He bought us breakfast and snacks at the turn, reserved one of the club’s best forecaddies for us, and took care of everything we needed for the day. It was a real treat. The staff here is fantastic and it was a very friendly and welcoming atmosphere. 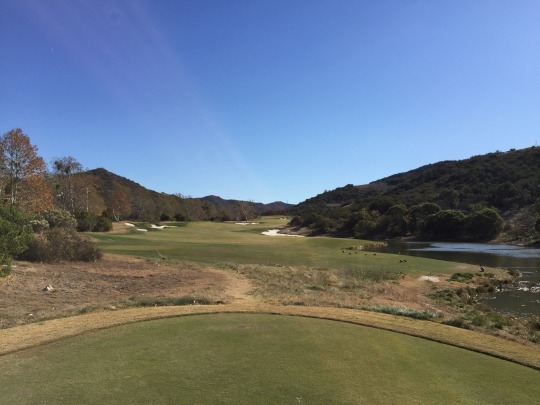 Everything about the experience was world-class without being the least bit intimidating. 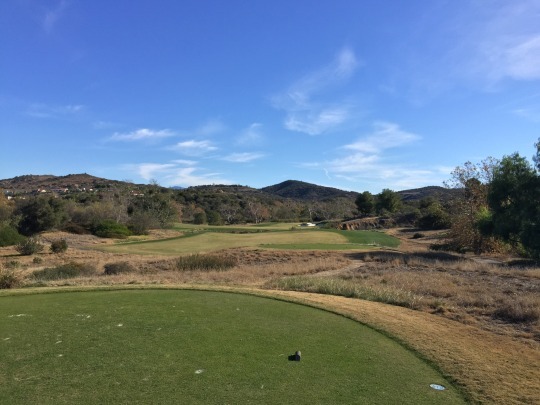 We teed it up a little after 10:00 and never had anyone in front or behind us all day. There were people out there, but it was well spaced-out and we enjoyed a nice relaxed four-hour pace. 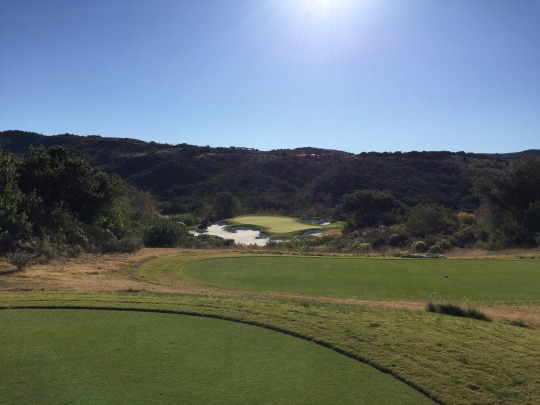 Shady Canyon was designed by Tom Fazio, so you know to expect something well beyond average. 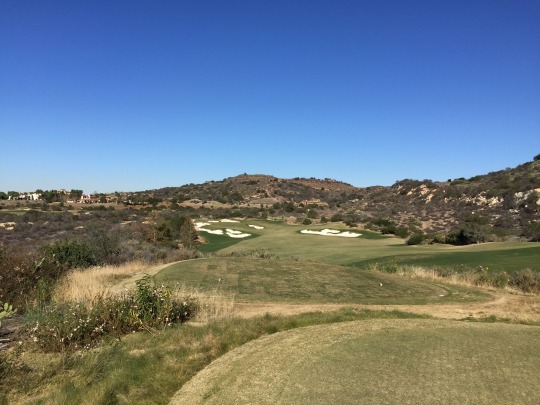 The course did not disappoint. 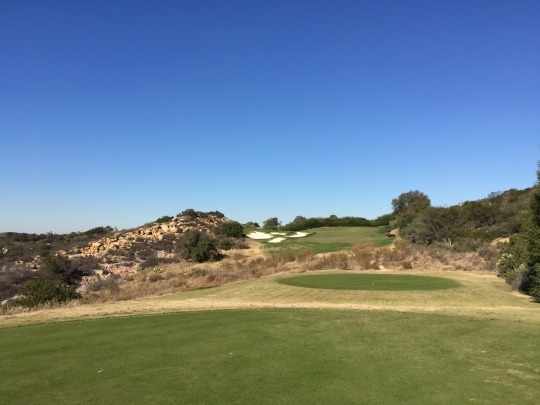 True to Fazio’s style, the course feels naturally intertwined with the secluded natural setting. 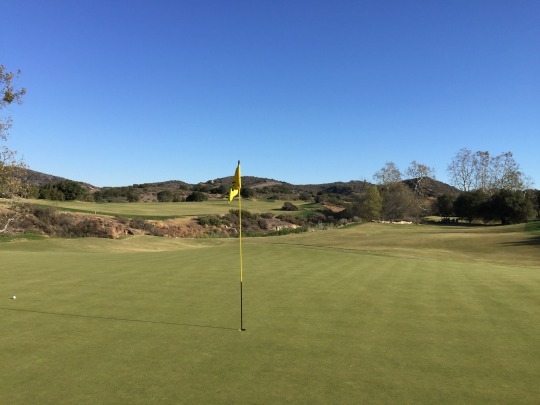 The fairways are open and forgiving and most of the challenge will be found on and around the greens. 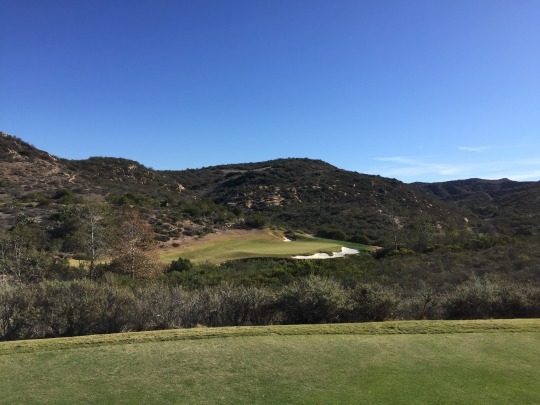 Fazio likes his greens very large with plenty of slopes and undulation, and that’s exactly what you get at Shady Canyon. 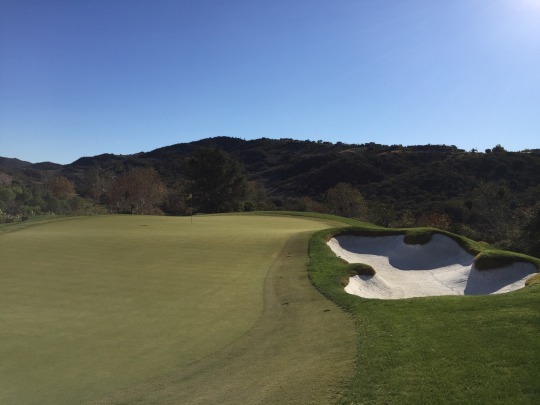 Around the greens, there are steep false edges, deep bunkers and collection areas you want to avoid, but that’s always easier said than done. 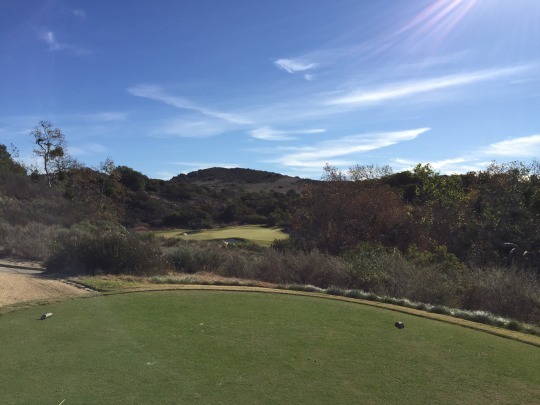 Shady Canyon plays to a par of 71 with five beautiful par-3s in the mix. Each one provides something a little different, but they all flow together nicely. 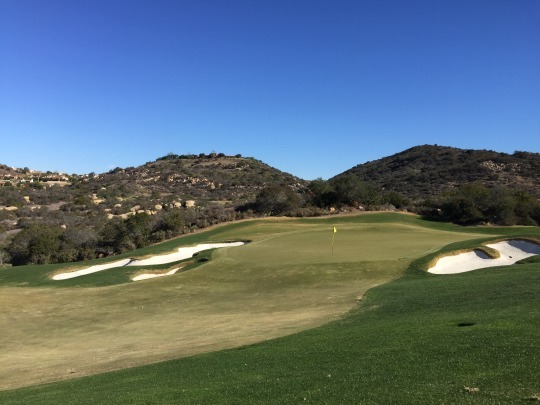 It is a true canyon style course running along and through a rugged desert canyon and utilizing the environment to provide some natural hazards and forced carries off most of the tees. 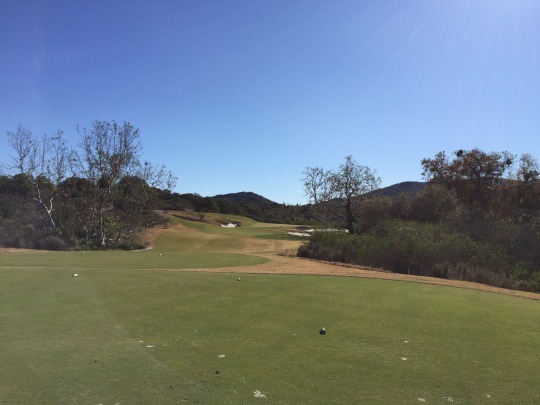 I’m not sure what would be considered the signature hole here, but each one is interesting and there’s a good variety of designs and distances to test every shot in your bag. All in all, it’s an excellent course that provides enough challenge without completely beating you up.. 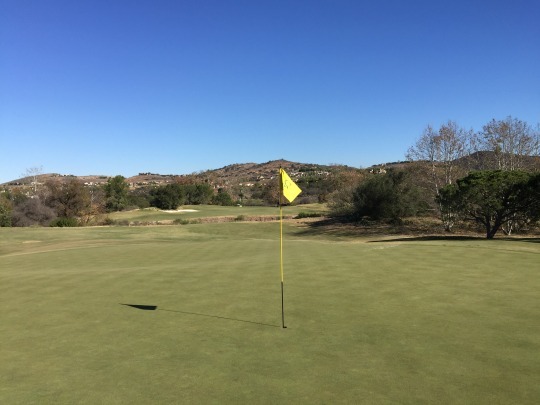 The winter conditions didn’t present the course as pretty as it probably looks in spring and summer when the bermuda grass is likely more lush and green. Still, the playability was good and everything was consistent. 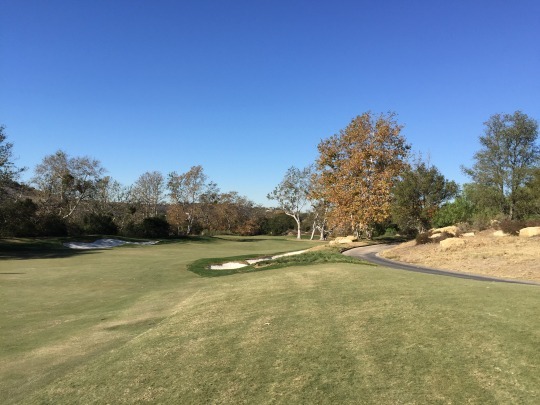 The fairways and tee boxes were tight and semi-dormant turf. 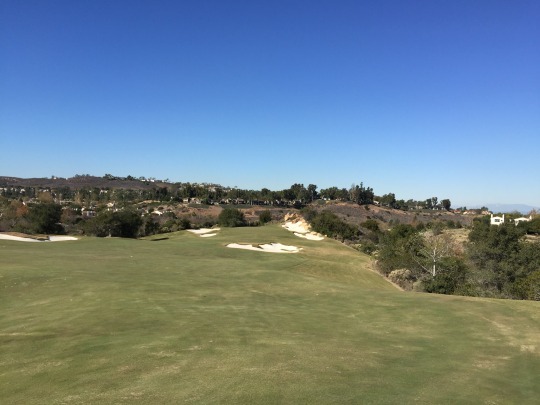 The rough was overseeded and greener. 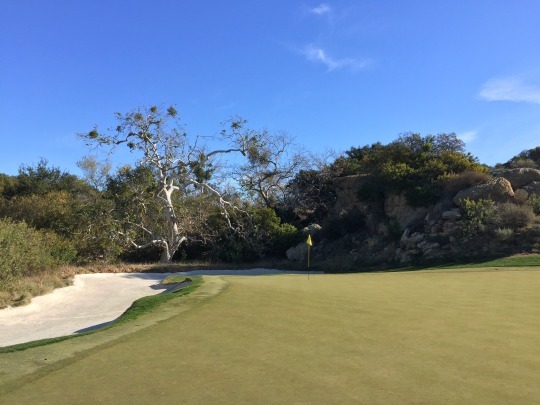 The bunkers had exceptional soft white sand. 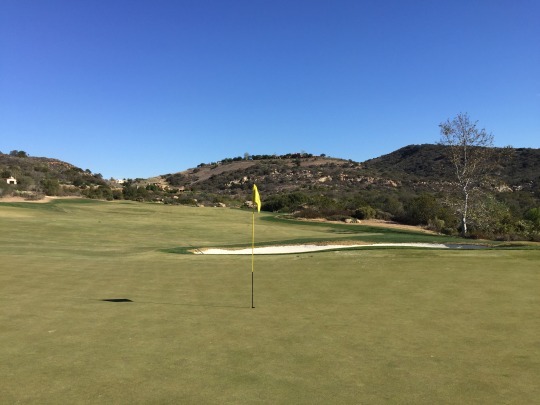 The greens were firm and lightning fast. Anything above the hole was hard to stop. They rolled as true as true can be with nary a ball mark to be seen. We saw the maintenance workers out there painstakingly making sure the surfaces were as smooth as possible. 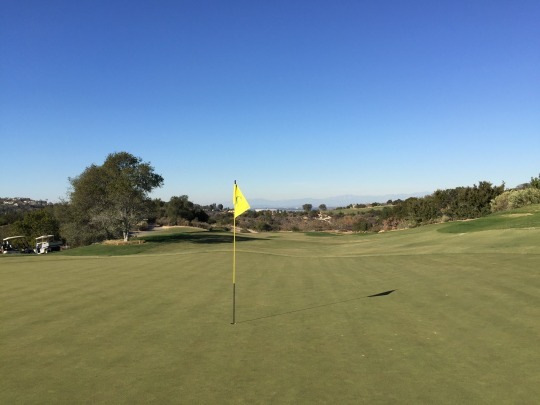 Our caddie said they weren’t even rolling as fast as normal, which is frightening to imagine. 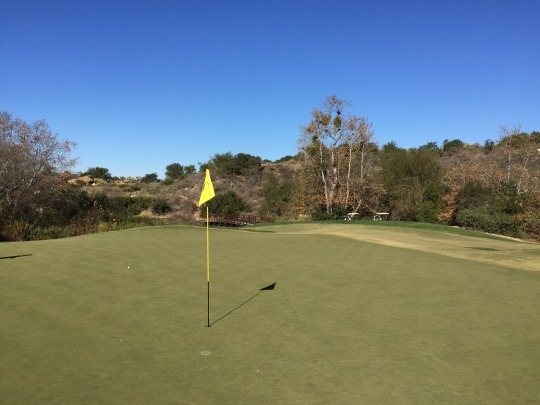 I think everyone in our group had a four-putt at some point during the round! 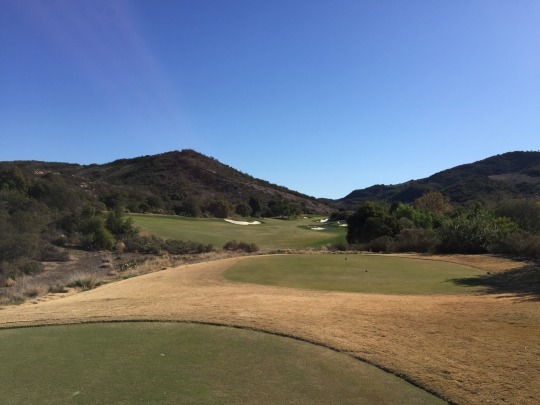 Shady Canyon was a good one to play as number 700, and it’s one I wouldn’t mind coming back to someday. Though next time I would make sure it’s during a point in the year when the grass is greener. 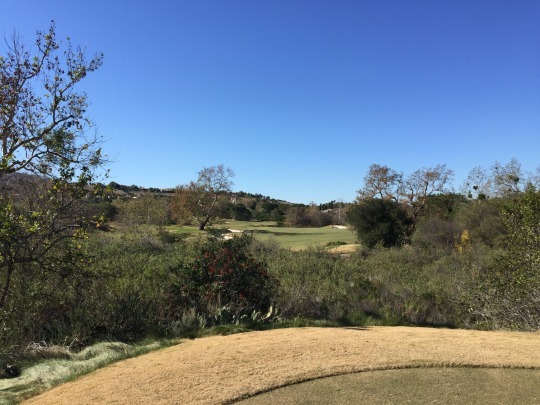 I don’t think my pictures really capture the quality of the course. 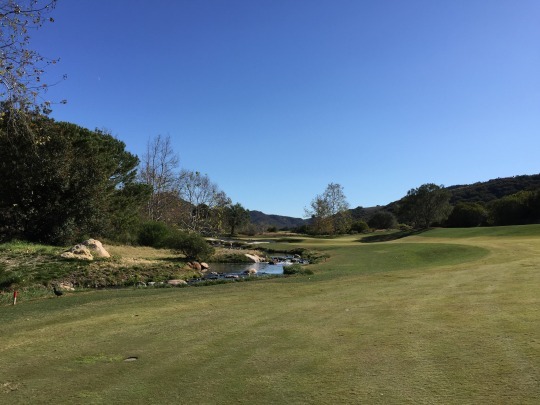 As one of Orange County’s most exclusive clubs, take advantage of any opportunity to play Shady Canyon and see how the other half lives.